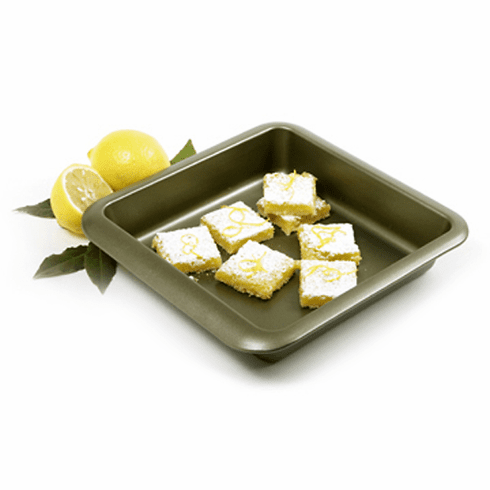 Nonstick Square Cake Pan has a uniquely designed wide lip edge, for ease in handling. Measures 9"/l23cm diameter by 2"/5cm deep. Made of industrial grade nonstick materials. Even heating for uniform baking. Nonstick finish makes removal of baked goods effortless and cleaning easy. Hand washing recommended.